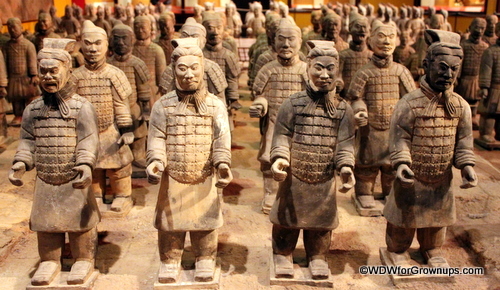 Welcome to the China Pavilion at Epcot! 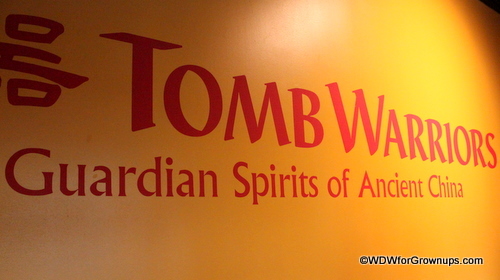 Come inside, where we'll take a look at the House of the Whispering Willows gallery exhibit, "Tomb Warriors: Guardian Spirits of Ancient China." 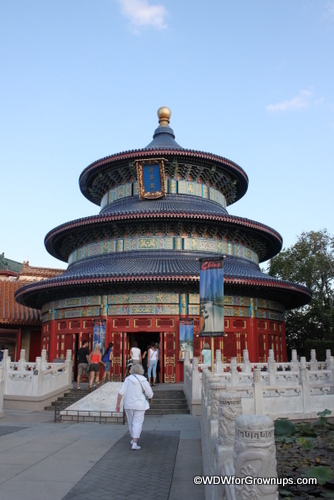 Upon entering the China pavilion, turn off at the first left and continue till you see the gallery on the right. 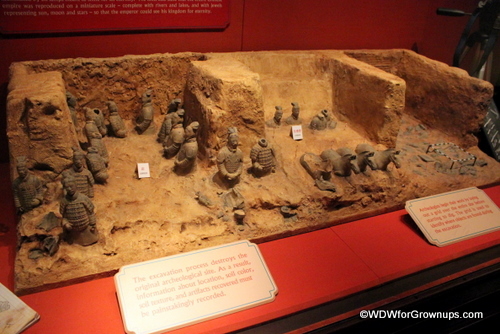 The terracotta soldiers in this exhibit are replicas of the soldiers found in the famous tomb excavation in Xi'an, China, the single largest excavation in the world. 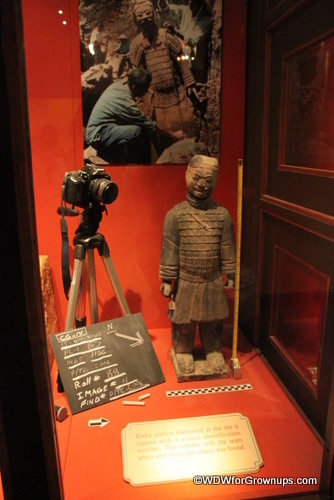 The original figures, dating from 210 BC, were discovered in 1974 by some local farmers. And they were indeed an army! 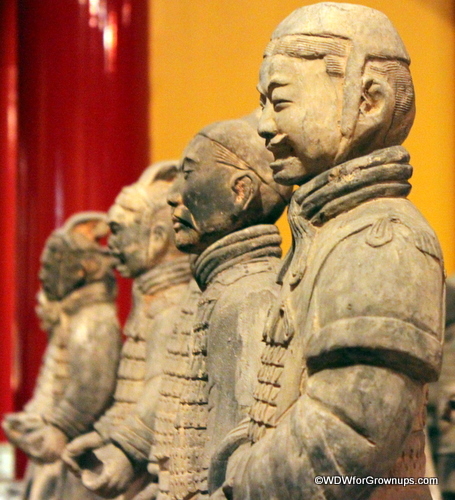 Current estimates are that in the three pits containing the Terracotta Army there were more than 8,000 soldiers, 130 chariots with 520 horses, and 150 cavalry horses. 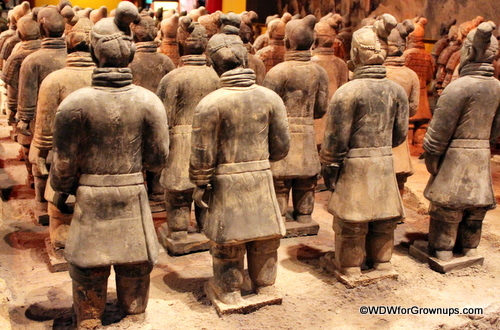 Legend has it that members of the royal dynasty carried miniature terracotta or stone carved warriors with them in their tombs to protect them from supernatural threats. 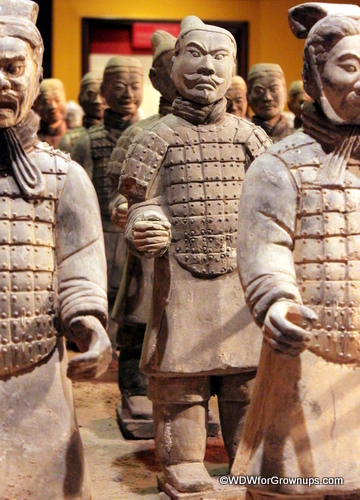 The model soldiers all all unique, with distinct characteristics and realistic features. 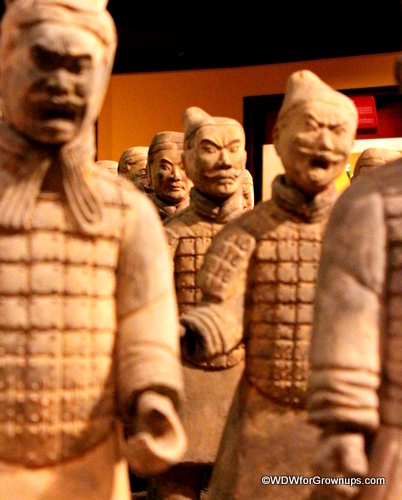 Thanks for visiting "Tomb Warriors: Guardian Spirits of Ancient China!"